Everyone that has a garden has a planter box. 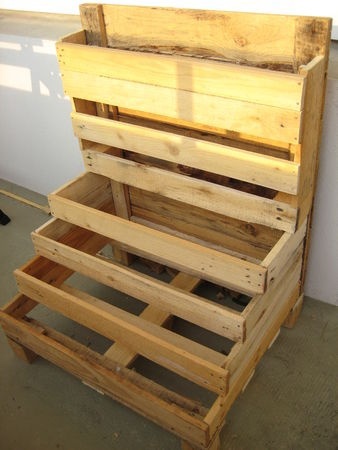 So why not make your own planter box out of some pallets?! Below is a beautifully made box with multiple levels. So cute!